Easter this year has been a lovely time.....the weather here has been glorious. Doesn't it make everything just right?! 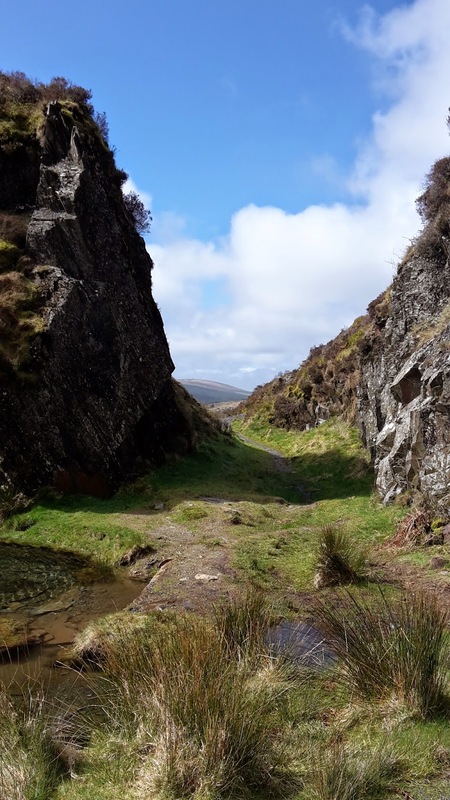 We set out walking on a new route this week, an area that we haven't been to before, where there are the remains of an old slate/shale quarry It was established in the 1840's, but has been out of commission for some years now. 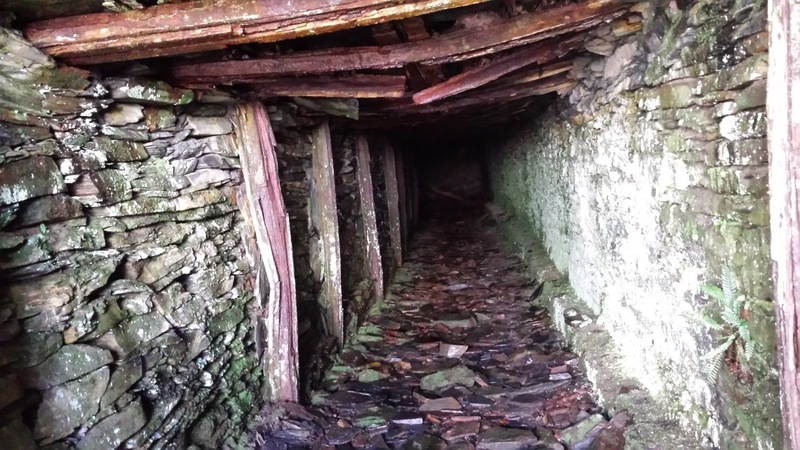 The remains are spectacular, eerie and in some places quite sad. Silent and empty. 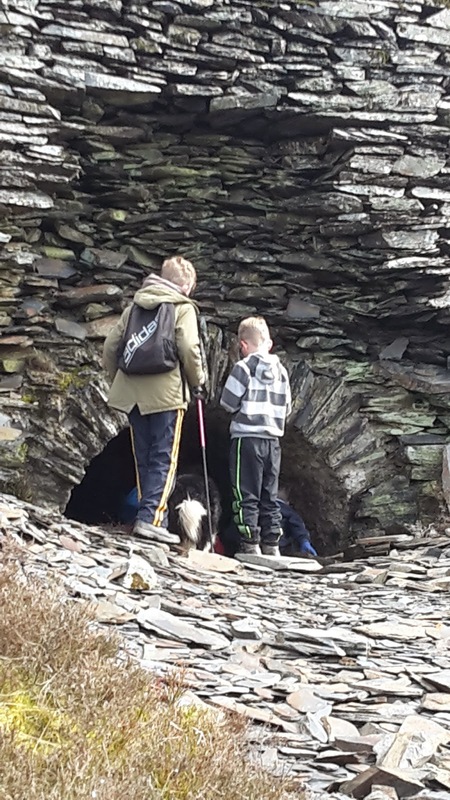 I spotted this little archway above where we were walking on a slate bank, so we all clambered up. Well worth the effort as there was a sight to behold captured by a torch and a mobile phone camera. I love getting out in the wilderness with the boys and dogs.....I find it puts your body right somehow, especially if you are otherwise cooped up a lot during the week. I can't put my finger on what happens, but being outdoors brings balance, I was feeling quite out of sorts and a bit despondent when we got back from our hollies, but getting out on a good long walk, put me back to rights! 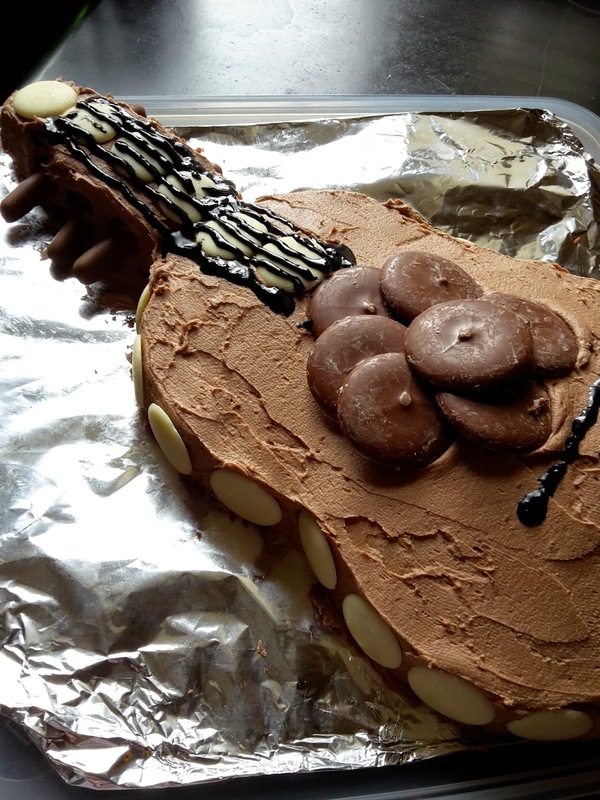 Biggest boy turned twelve, his birthday was guitar focused, guitar cake and a guitar to go with it. 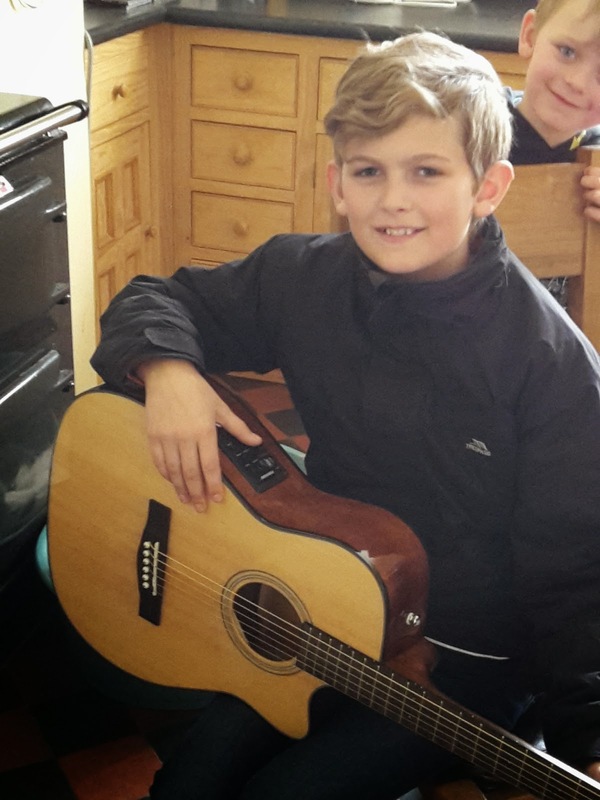 I am so pleased to encourage my boys in music and creativity, I am so thankful for all my creative exploits, especially the music....even when the going is tough, losing yourself in music puts everything in perspective. Happy Birthday to your boy Faith, he is so handsome. Love the trip you took us on, such a beautiful place. Happy birthday Oldest Boy! What a smashing cake. 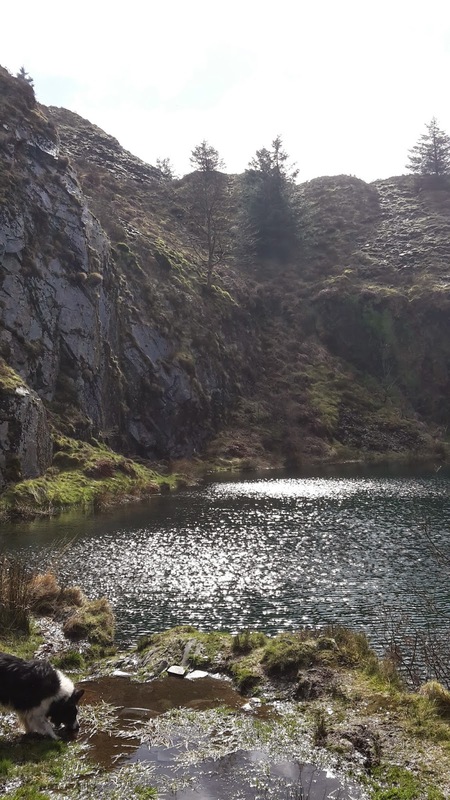 The quarry looks like a wonderful place to get away from it all. I know what you mean about being outdoors bringing balance. Something about the sky, the air, and seeing growing things. What a fun and interesting cake for your handsome boy. That totally looks like a neat place to explore. 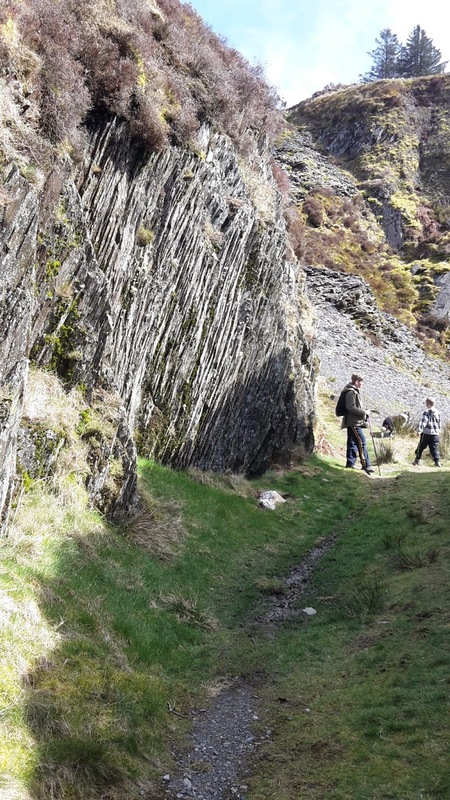 It's so interesting how the shale stacks upon itself like that. That lake would be perfect for a scene in The Mortal Instruments series.